I founded The Osteopathic Clinic at Cheyne Walk in March 2003, with a goal of developing a centre of excellence for the treatment of Osteopathy, Pilates, Rehabilitation and Sports massage. The vision was to create a 'Harley Street' experience in Croydon, Surrey and following our refit 2012 the feedback suggests we've achieved this. I'm looking forward to helping you experience our expertise. A registered Osteopath for over 25 years, I have a special interests in High Performing sports people and am fortunate to have helped the Sports Medicine World in both Europe and the USA. I developed the Warlingham Green clinic by invitation from local Doctors in the area and also facilitate patient recovery through professional relationships around Heathrow. In addition to my own osteopathic patients I also provide educational leadership to Physiotherapists and Sports Physicians. In recent years we expanded our excellence center and established a Shockwave Therapy programme at the practice. One of the few in the are to offer this multi-disicipline capability. I'm married to Christine and practise what I preach by keeping fit and play golf where I'm looking forward to getting back to competitive playing again in the near future. Over the last 15 years we have developed a great team that share our core values. I delighted to introduce you to the team here. Lydia qualified following four years of study at the renowned European School of Osteopathy in Kent. She has a strong sporting background which led her to first study Exercise and Sport Science at The University of Exeter where she attained a BSc with honors. As a qualified tennis coach and ski instructor, she has a thorough understanding and appreciation of the stresses and strains placed though the body during sport and exercise, as well as during every- day life. Lydia applies a dynamic and versatile approach, incorporating both structural and cranial techniques, whilst treating a wide variety of patients from all different backgrounds. Lydia enjoys treating all types of patients and has developed interests in treating sports men and women, children and expectant mothers; completing her final year dissertation researching the treatment of low back and pelvic girdle pain during pregnancy. With a true passion for health Lydia believes that the most effective functioning of the body is essential and works with patients to develop an individually tailored treatment plan to facilitate optimum results. She also offers dry needling (western medical acupuncture) as a form of treatment where appropriate. Mark is from Ireland originally and moved to London to train and work as an osteopath in 1999. In 2007 he completed an MSc in paediatric osteopathy prior to joining the practice. As part of on going CPD training he has attended various other post graduate courses in cranial osteopathy and acupuncture / dry needling. As well as cranial osteopathy Mark has a keen interest in sports and treating sports injuries. He employs a varied treatment approach with patients e.g soft tissue and spinal manipulation, cranial and visceral osteopathy, dry needling, ultrasound, laser and interferential where appropriate. Outside of work Mark is married and has a young daughter, he also enjoys cycling and triathlon. Claire graduated with an Integrated Masters from Surrey Institute of Osteopathic Medicine and is enthusiastic to help relieve any ailment you may have. She has a keen interest in Sport and Exercise, integrates the use of Posture and exercise into her treatments when appropriate. Claire has also qualifications in Sports Massage and western medical acupuncture (dry needling). Additionally, she travels abroad where she teaches at the International College of Osteopathic Medicine, Italy. Sabrina graduated from the British School of Osteopathy with a Master degree in Osteopathy. She practices both structural and cranial osteopathy. Since graduation she has completed further studies specialising in paediatric osteopathy at the Osteopathic Center for Children. Sabrina has extensive experience treating newborns to teenagers and worked in neonatal intensive care wards treating premature babies. She also has experience treating expectant and post-partum mothers and she believes it is important to treat both mother and baby during pregnancy and beyond. Sabrina also has a strong interest in sport and sport injuries and is a qualified and experienced sport massage therapist. Martine is a Pilates Practitioner from Australia who has a background as a professional Contemporary dancer with a Bachelor of Arts in Dance. It was her immense love and passion for movement and the physical body that led her to embark on training as a Pilates Practitioner. She has been working in this capacity since 2001 in conjunction with Physiotherapists and Osteopaths and specialises in Rehabilitation. She qualified with the Australian Pilates Method Alliance, holds Level 1-3 Clinical Pilates from Dance Medicine Australia and has completed extensive Bodywork courses of a wholistic nature. 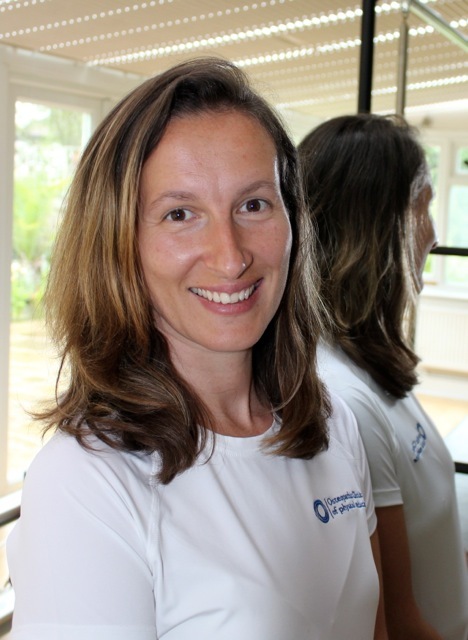 Martine was trained in Australia by Physiotherapists and worked as a Clinical Pilates Practitioner for 4 years. In addition to this she worked with the Australian Men’s Hockey Team, who went on to win Gold in Athens in 2004, developing specific and individual programs for the team. Since moving to London in 2005 she has worked in various Pilates studios, including working for a Harley Street Physiotherapy practice for 4 years. She has a long standing connection with the Osteopathic Clinic working there since 2005 only stopping to go on maternity leave. She is extremely excited to be once again working at the clinic and continuing her association with Paul Morrissey who's reputation is held in high regard both here in the UK and internationally. Martine has been assisting individuals to deepen their connection and understanding of their physical body. She does this by helping her clients bring a heightened awareness and a more integrated understanding of the role their bodies have in relation to our daily lives. Her speciality lies in assisting individuals in tapping into their full potential in a supported and safe manner. Achieving and surpassing their expectations, she uses her integrated and unique skill base combining her extensive knowledge of movement, healing modalities and experience from over 10 years of working with Physical Therapists making her unique in her field. The wealth of experience she has enables her to quickly assess the individual and find the approach and combination of resolutions to allow her clients to become more connected, stronger and able to function to optimum health. Her clientele ranges from elite athletes to those who have never exercised before. She loves working with people of all ages who wish to remain healthy and happy. Specifically she has experience in working with spine and disc pathologies, scoliosis and sacro iliac dysfunction, knee, ankle and shoulder rehabilitation pre and post operative, pregnancy pre and post and individuals with physical disabilities. Through this she assists in re education, re training and re iterating more economical solutions for the client and their bodies to increase strength and keep the potential for injury and dysfunction to a minimum. Anne has trained and worked with some of the 'elders' and new expert educationalists in the pilates world and her vast experience will help us open clinics for osteoporosis in the very near future - watch this space. Anne qualified as a Pilates mat teacher in 2011. She then progressed to complete studio training under Alan Herdman’s studios in London qualifying to teach on cadillac, reformer, chair and ladder barrel. She has undertaken additional training including pre and post natal, pelvic health, older adults and osteoporosis Anne has substantial experience working with a range of clients. This includes those wishing to improve posture and core stability, clients with back pain and other remedial conditions, pre and post natal clients and older adults. Silvie moved to London from the Czech Republic in 1999 and began studying Personal Training in 2004. This developed over the following years to include aerobics, step, weights, strength, Bosu before studying Pilates Mat where discovered passion for Pilates technique, now her main focus. This passion developed as Silvie expanded her classes across 1:1 clients and groups both large and small of varying skill levels. She firmly believes that Pilates is a great foundation to all wellbeing. In 2012 Slivie began to study deeper and wider with Polestar Training. She qualified in September 2014 as Pilates Practitioner of Pilates Studio . Silvie believes that training and nutrition are key factors of balanced and healthy lifestyle, and her knowledge, experience and dedication make her excellent motivator. Silvie focus is on improving self-confidence, achieving agreed goals. Rhea graduated as a Sports Therapist in 2006 following the completion of a BSC Hons at Hertfordshire University. She is YMCA Level 3 Certified in Fitness, and a Keiser Indoor Cycling Instructor. Rhea spent 6 years working in the fitness industry as a Fitness and Studio Manager, and as a class instructor, whilst also practising Sports Therapy. 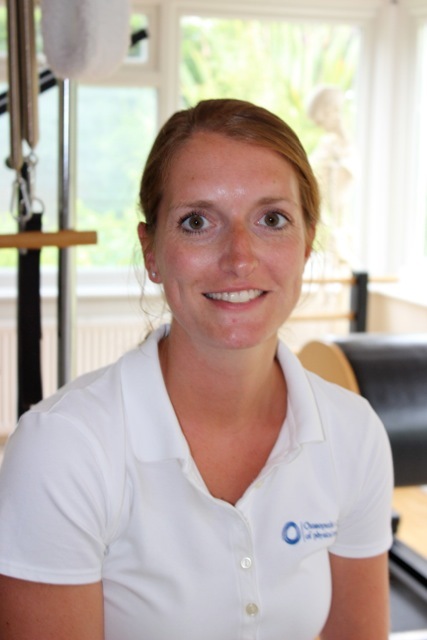 Since 2013, Rhea has been fully self employed and concentrating on her business, helping her patients to remain fit and active using exercise therapy, mobilisations and sports massage. Since taking up Triathlon 6 years ago, the importance of posture, core strength and mobility have become a real necessity and interest. Consequently, Rhea recently completed the STOTT Pilates Essential and Intermediate Reformer qualification. With an Ironman planned for the future, the importance of a fully functional, strong and connected body is a goal Rhea strives for herself, and she is looking forward to passing this new found knowledge onto her patients. Raveena has practiced sports therapy for 9 years and continually updates her training with regular CPD to keep at the forefront of her profession, treating people at all ages and stages of fitness from those that exercise religiously and those that just live. This includes treating those with muscle trauma, amateur cyclists, runners training for the marathon to mums with children who suffer low back pain, office workers who complain of neck and shoulder ache, young children who play a lot of sport to those young people training to be dancers. She believes that as we get older there is no reason to have muscular (soft tissue) discomfort and seeing a deep tissue specialist is like taking your car to be serviced! Raveena has lived in croydon for 40 years and plays badminton to relax. Dr Zeeba Shariff qualified as a Medical doctor in 1988. After which she worked as senior home officer in various hospital departments, such as A&E, Maternity, Pediatric children unit and in general medicine. In 2002 she obtained her Master’s degree in Nutritional Medicine from the University of Surrey, followed by training in applied Nutrition and Herbalism from the Centre of Nutritional Education. She is a full member of BANT, NTC, CHNC, The Nutrition Society, Candida Society, Cambridge Nutritional Science and Genova Diagnostics. For the last ten years she has been working as successful Nutritional Therapist and has completed numerous courses in the different fields of Nutrition recognized by the Royal College of Medicine, BANT, CAM and Nutrition Society. Dr Shariff also lectures at Mayday hospital to the Cardiac Support group and does health talks at the South Norwood and Freed Clinic. Her articles are published and featured in magazines such as ”Slim at home” and "Yours”. In addition, her clients include people from UK and abroad such as Holland, Spain, Canada and USA. What can I say I love my job, I get a buzz out of working with entrepreneurial, creative, and courageous people that take risks and turn their idea’s and dreams into reality! My business was born last year called ‘Scarlet Digital Marketing’ but I have been currently helping small businesses and sole traders for three years. I love to support local SME businesses and sole traders with various aspects of marketing. My speciality is digital marketing, social media, blog content and SEO. Having my own business, I realised there are very little support and expertise in this area that is affordable and wanted to help individuals and small businesses that either don’t have the time, budget or the skills and knowledge to push themselves forward. I have a keen interest in health and travel and as a result, I have naturally gravitated towards those businesses helping many alternative and complementary health clinics and individuals increase their patient figures and supporting them to become a thriving business.